Dodge Ram mirror glass for '03-'06 Sport truck with non-heated mirrors. Fits driver side of truck. Rather than replacing the whole mirror if only the glass is broken, simply replace the mirror glass using hand tools. 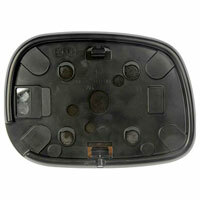 Replacement is possible without having to remove the mirror housing from your Dodge Ram Sport truck. Installation instructions are included. 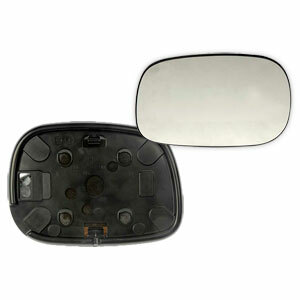 NOTE: If possible, check the back of the mirror glass to see that it matches what is on your truck before ordering this part. In some cases the glass does not always follow the model year or an entire replacement mirror has been sourced from another model year truck. NOTE: Replacement mirror glass ONLY fits factory mirrors. Will NOT fit aftermarket mirrors.